As always we recorded this session in which we took a look at some avatar making tools in one of our “quick and easy tools” explorations. These are occasional sessions where I put up a list of 5-10 tools and each participant chooses one (preferably one unknown to them) to explore for ten minutes and then give feedback to the rest of us. The first time I did this the tools were a mixture of different functions however more recently I have chosen ones with similar purposes. My personal rationale for “ten minutes to explore” is that if it takes too long to “pick up” the basics of using any tool then the focus of the “lesson” in which it is being used may change from the educational purpose to the tech being used. In other words we risk using “tech for tech’s sake” rather than as a tool to achieve the educational purpose. We started with a have you used it and to what degree on the five tools to be explored. This revealed that most of us had some awareness of, or familiarity with at least one or two of them and a couple were reasonably familar with all. After the ten minutes everyone came back, added their avatars to the whiteboard and talked about the ease of use and other features of the tool they had explored. We did have someone drop out and be unable to rejoin when trying to add their avatar – the avatar is still in the composite image. 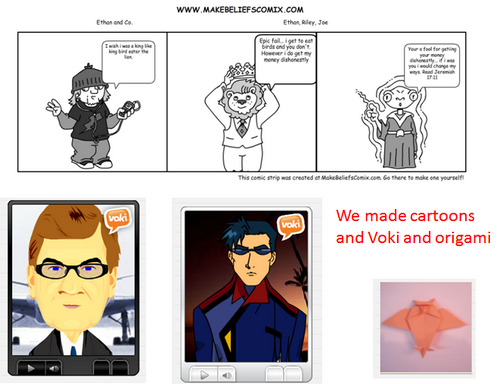 Throughout the whole session there were lots of links shared in text chat and on the whiteboards: to avatar making sites, to sites which list avatar creators and to sites which illustrate many creative ways of using them. After the session Jerry Blumengarten (@cybraryman1) added a “My Avatars page” to his already amazing collection of pages of useful education related links. We finished with some feedback and a look at our best takeaways from the session. This was great fun! Everyone always seems to enjoy sessions like this. 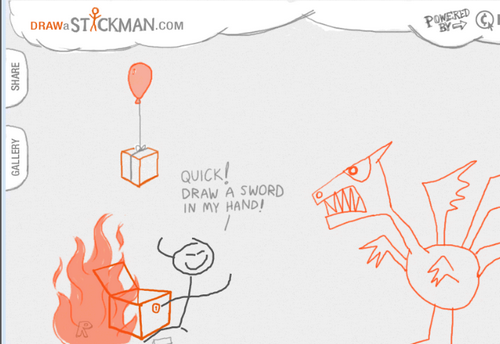 Those of you familiar with the webinars will know I have something of an obsession with making them as interactive and “hands on” as possible and from that perspective these tool explorations work really well. 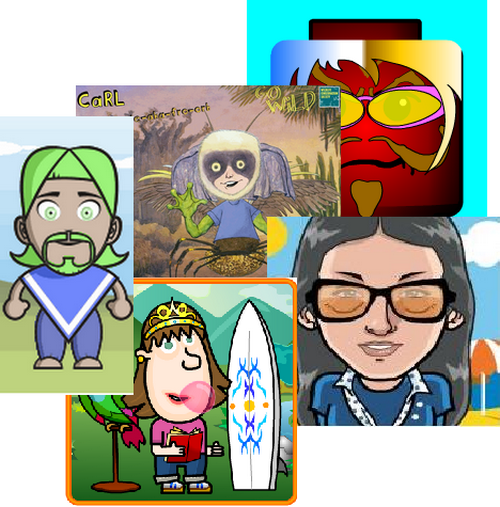 Avatars have been on my mind a lot at the moment as I have been looking for an easy to use creator that my not necessarily very techie distance students can use. I would love to give them a list and let them choose but needed to fix on one so that I could do a stepwise process as in this slideshare for them to refer to. The challenge with wholly online students is very much that the lecturer (teacher) is not there standing behind and able to coach them through the steps. 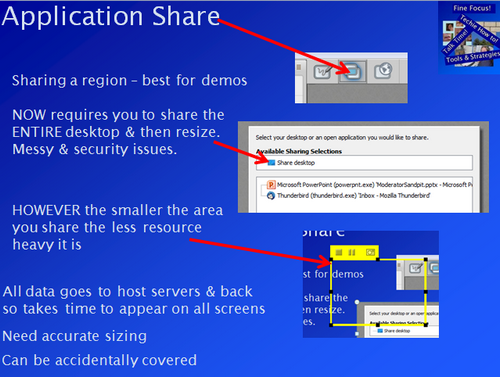 I do do this individually with Application Share in BbC/Elluminate however my students are often working asynchronously so we are not in virtual class at the time they have the problem! Our next session will be an Edublogs “Serendipity” session on Thursday March 29th at 23:00 GMT/UTC (Afternoon/Evening USA) or Friday March 30th at 7am West Aus, mid morning Eastern States Aus depending on your timezone (check yours here) – in the usual BlackboardCollaborate room. This is one of our fortnightly unconference sessions where we invite you to bring along your “hot topics” and “burning issues” for our poll on the topic. 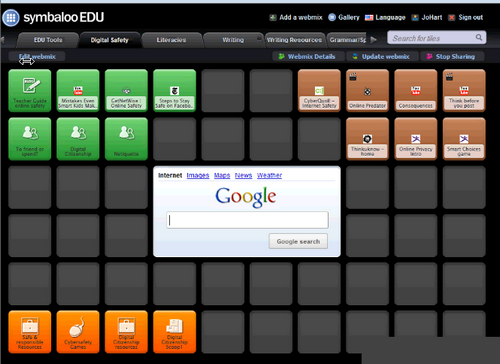 Edublogs webinar overview – big brother (Google)! Next we took a closer look at some of the changes. We raised concerns and looked at some of the possible impacts. Then came the interesting bit! I asked participants to take a look at their own Google Dashboard and particularly their Web History. Everyone explored, made changes and shared thoughts about the amount and type of information and the sometimes worrying preditions/assumptions made by the algorithms. 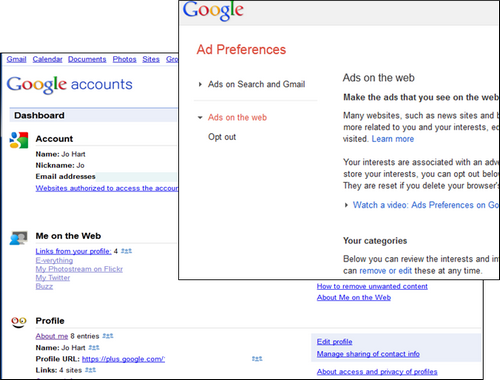 After the Dashboard everyone accessed the Ad Preferences where it is possible to make some changes to the way Google targets you with advertising. I enjoyed this session although I felt that I talked too much! I found it interesting to get the perspectives of others on the policy changes and planning the session made me dig a little deeper than I might otherwise have done. We all find the advertising annoying but as someone said in the session this is how Google makes money and is able to provide all the apps we like so much! I also realised that I am getting better at what used to feel like worrying silences – those that occur when people are exploring something and changing settings. Our next session will be an Edublogs “Serendipity” session on Thursday March 15th at 23:00 GMT/UTC (Afternoon/Evening USA) or Friday March 16th at 7am West Aus, mid morning Eastern States Aus depending on your timezone (check yours here) – in the usual BlackboardCollaborate room. This is one of our fortnightly unconference sessions where we invite you to bring along your “hot topics” and “burning issues” for our poll on the topic. These blended together very well and generated lots of discussion. Then we moved on to discuss the advantages project based learning “PBL” and the difficulty of doing this with the increasing constraints on educators. This conversation blended well into community involvement in content and gave rise to many ideas on possible community projects. There were also suggestions for other ways of increasing community involvement in educational organisations as a strategy for breaking down the barriers that often exist. This session was fascinating – truly Serendipitous in the way that we ranged across the related topics. It seems to me that increasingly in our sessions we are hearing the frustrations of educators in schools, who meet with severe constraints on how they teach as well as with the ever narrowing and more prescribed curriculum. As an adult educator in literacy/numeracy I feel that I am incredibly lucky at the moment in having a less rigid and constrained curriculum than colleagues in schools but it is probably only a matter of time! Our next Webinar is an Edublogs “Fine Focus” session. “Big Brother (Google) is watching you!” In which we will take a look at some of the implications of the recent changes in Google. Join us on Thursday March 8th at 23:00 GMT/UTC the time for you will vary depending on your timezone (check yours here) Thursday afternoon/evening in the USA, late night Thursday in Europe, and Friday morning March 9th in Australia – in the usual Blackboard Collaborate virtual room. In this excellent recorded session we learned about “Birdwatching with biblical binoculars” (@jofrei) – Jo Freitag of the Gifted Resources information service told us the story of her exciting blogging project carried out with a group of Church School attendees during 2011. 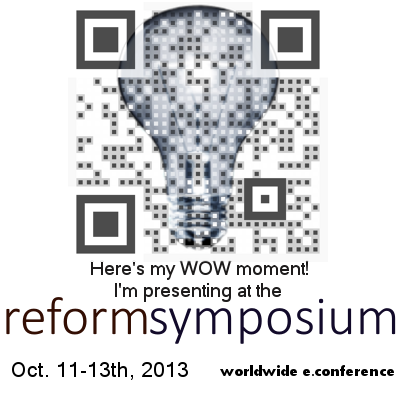 Jo started with some background on how she had come to do the project – using the subscription to EdublogsPro that she won at the Reform Symposium in 2011. She then introduced the blog that she used. Jo moved on to tell us about the wide range of activities that the group undertook and how the “biblical binoculars were used to find biblical references to birds that illustrated the topic under study. There was some exciting “just-in-time” learning and sharing by members of the group using their mobile phones to find and access references. The range of tools that Jo used with her group was wide – some of which are shown below. 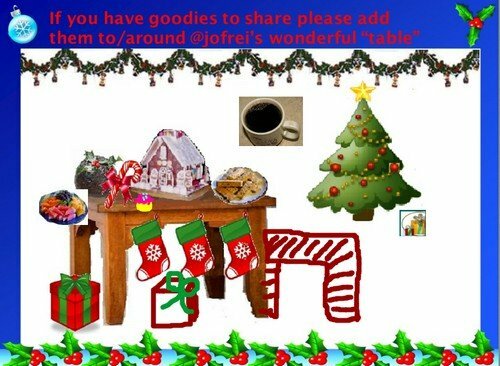 Many links were shared via whiteboard and text both by Jo and by other participants. Some of them we visited during the session and others were saved for later :). It is very well worth catching the recording for this session both for Jo’s great presentation and for the interactivity and links that she shared. An exciting sesssion! Jo’s use of such a wide range of tools and activities was awe inspiring and led to a very high degree of engagement from her group. I found this particularly helpful given my own context at the moment of preparing for a project which hopes to better engage my online literacy students through adding media to blogposts and thus generating a simple e-portfolio. Our next session will be an Edublogs “Serendipity” session on Thursday March 1stat 23:00 GMT/UTC (Afternoon/Evening USA) or Friday March 2nd at 7am West Aus, mid morning Eastern States Aus depending on your timezone (check yours here) – in the usual BlackboardCollaborate room. This is one of our fortnightly unconference sessions where we invite you to bring along your “hot topics” and “burning issues” for our poll on the topic. 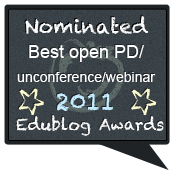 Edublogs Serendipity webinar overview – four topics! This was fun – we used the timer to ensure that we spent similar time on each topic. We started with “2 minute teaching presentations” this topic was proposed by a participant who has a job interview coming up. It is a topic that I think most teachers find interesting bcause we have all been there at some point whether it be a 2 minute, 5 minute or 10 minute presentation. In my personal opinion the shorter the time they allow the harder it is! We used a whiteboard to make suggestions and there was also discussion in text chat and through audio. The second topic was “managing image sizes”. A topic which often surfaces as a result of people trying to send files (eg “Powerpoint) by email or to upload them and discovering that they are too large for sending and/or they take an inordinate length of time to upload. As someone who lives in a “bandwidth challenged” region it is an issue close to my heart! Because of this I probably talked to much in this part of the session :). The topic was the subject of a Fine Focus webinar “Imagine your Image” overview here some time ago and is also one the the Free Tools Challenges in the Edublogs Teacher Challenges. There were a variety of links, tips and ideas for image management shared in text chat As a result of the discussion @philhart with input from @MrsSOnline produced a Google Doc on managing images post download from camera and has posted about this with the link on his blog in “Pictures and presentations: an issue of size”. Our third topic “technology troubles” lent itself very well to a whiteboard where we shared the technology troubles that are currently at the top of our respective lists. For several of us one of these was the perennial “getting others to use the tech!”. One of the best things about this sort of topic is the realisation that “one is not alone”! Another plus was the sharing of suggestions on how to solve particular tech issues. The final topic was “new look Twitter – what are the differences?”. Coincidentally, and serendipitously, I had been exploring the new Twitter just before the session. I rarely use Twitter web, Tweetdeck being my client of choice, however I accessed Twitter web directly because of a glitch with Tweetdeck. Found myself unexpectedly in the new version and so did a quick explore. As a result I was able to share my Twitter page and do a quick tour of similarities and differences. The main plus I think for me is the inclusion of “Interactions” enabling me to see new follows and RTs easily. This was a very quick skim and I’m sure I missed things that are significant in the new version. We may take a closer look in a FineFocus session soon! This session was quite fast paced – Serendipity sessions are often slower paced and reflective. However fast or gentle paced there is always that Serendipitous learning element. I really enjoyed this session and think that perhaps we should do more Serendipity sessions where we have short discussions about several topics – what do you think? Feedback would be very welcome – let us know if you think this would be a good idea. Our next Webinar is an Edublogs “Fine Focus” session. 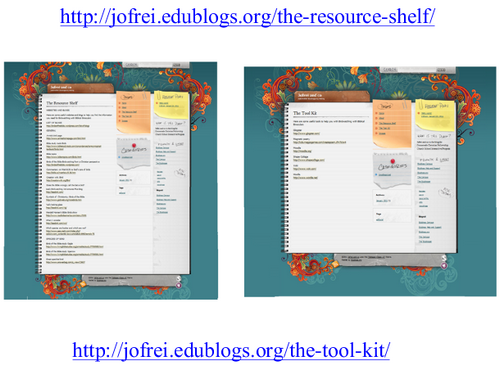 This will be an exciting session with Jo Freitag (@jofrei) who coordinates the “Gifted Resources” information service website. Jo will tell us about her blogging project “Birdwatching With Biblical Binoculars” that she has been undertaking with her Sunday School group. Join us on Thursday February 23rd at 23:00 GMT/UTC the time for you will vary depending on your timezone (check yours here) Thursday afternoon/evening in the USA, late night Thursday in Europe, and Friday morning February 24th in Australia – in the usual Blackboard Collaborate virtual room.